Thank you for visiting our new website! While still a work in progress, we were excited to get it off the ground as it's been a slow moving project for far too long. We always seem to be working on our customers' projects and our own take a back seat. We have a lot of ideas we'll be incorporating into the site and hope you find it helpful in finding solutions with our team here at AXEON. Stay tuned, more to come! Experience the POWER of AXEON Technologies! What our incredible customers have to say about us! AXEON’s hosted server option has allowed us to easily share our files and software across several offices in different cities as if we were working in the same building. I would definitely recommend this service and their IT support services to other businesses that are looking for a reliable and affordable IT partner. 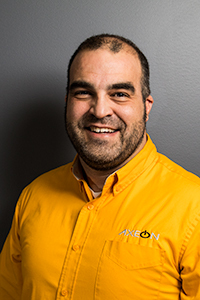 For over a decade, we have trusted AXEON with all of our IT needs. They have ensured our stores all stay connected to the technology we rely on to do business -even if that means responding to needs at odd hours. They have always provided sound direction in how we allocate our IT budget and most of all, they reliably do what they say they are going to do day in and day out.